I just returned home from a 4.5-day trip to Colorado that was supposed to be a writing retreat. 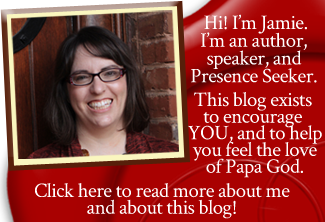 I had planned to finish all the edits on my book, plus write more blog posts. But you know what? I miserably failed as a writer. I didn’t even open my laptop until the plane ride home. All that time in Colorado, I wrote not … one … word. I failed as a writer. No doubt about it. But you know what? I won as a wife. Enjoying the downtown area of Estes Park, which is one of the gateway towns to Rocky Mountain National Park. I knew he had planned these things, but I figured I would just let him drop me off next to a scenic lake somewhere, and I would write. Or, I thought I would stay behind at our hotel one day and just enjoy the scenery and write there. It didn’t happen. You know what I did instead? I drove. My husband loves to look at the scenery, and it’s sometimes unnerving for him to be driving and looking at the scenery at the same time. So I drove him around, almost the whole time. And I would trade those things for any number of writing trips. Because at the end of my life, when all is said and done, nobody’s going to care how many blog posts I wrote. Oh, it will matter in Heaven. If I can touch even one of you, my readers, through the power of words, it matters. Everything done for the King has eternal impact. But it won’t matter to me at the end of my life. What will matter to me is my husband and my children. Will I be able to look at my gorgeous, amazing husband with no regrets? Or will I look in his eyes and tell him how sorry I am, that I should have loved him more, spent more time with him, and cherished every moment we had together? I want to live the life God has given me to the fullest. But that means that I put first things first. My husband comes before my writing, always. But sometimes I forget that. Sometimes I hole up in the office at home too much, instead of snuggling my husband on the sofa like I should. Sometimes I do too much church work and too little cooking him dinner. Sometimes I put taking care of my friends ahead of taking care of my husband. But I’m trying. I’m not perfect, but I love him more than words could ever say. I’m so grateful for this gift of a companion, a covering, and my best friend that God has given me. I’m so thankful. So this writing trip was a writing failure. I failed as a writer. 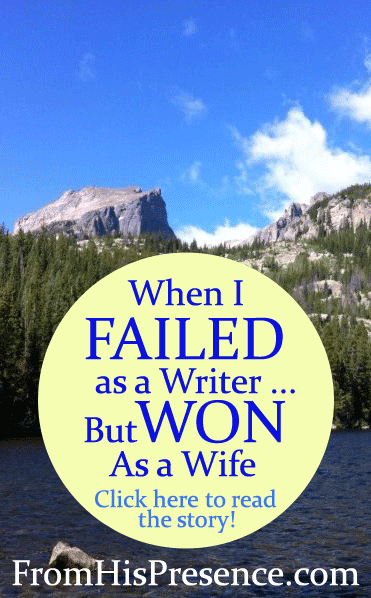 But I won as a wife, and I’ll take that over writing any day. What do you need to fail at today, so you can win at something else? This is an awesome and unexpected post 🙂 fantastic that you were able to serve your husband even in a situation that could have so easily led to being self-serving. I believe writing is hugely important. It’s a tool were so blessed to have in a world were so many are illiterate or simply indifferent to what words can do. But that does not mean we can put it ahead of our families. Thank you, Stefanie! I agree. Family always comes first. 🙂 Thanks so much for reading! Wise decision! Glad you and Bruce had such a great time…I believe that when we sacrifice our desires for another’s needs then God rewards our spirit of giving, so watch the writing flow faster than it normally would.